The College’s Mission and Values Statement states that the school ‘provides a Catholic Education for boys where excellence is valued and all are challenged to achieve their best’. Earlier this week the community acknowledged the Whitefriars College students who challenged themselves to achieve excellence in their VCE studies in the 2018 academic year. Students who achieved 90 or more for the Australian Tertiary Admission Ranking score, and/or a Study Score of 40 or more in a specific subject, and the Dux award for each VCE subject were presented. College Dux, Adam Bardrick achieved an ATAR of 98.65. His average study score was 41. In achieving this outstanding result Adam studied six subjects and a subject at Melbourne University. His top score was a 45 for English; a surprise to Adam who believed his most successful scores would be in Mathematics. It was his determination, perseverance, seeking feedback and relentless study that he was able to make English his highest score. In 2017, he studied Biology (38) and Religion and Society (36) as a Year 11 student. In 2018, Adam achieved Study Scores of 45 for English, 44 for Mathematical Methods, 39 for Physics, and 36 for Specialist Mathematics. 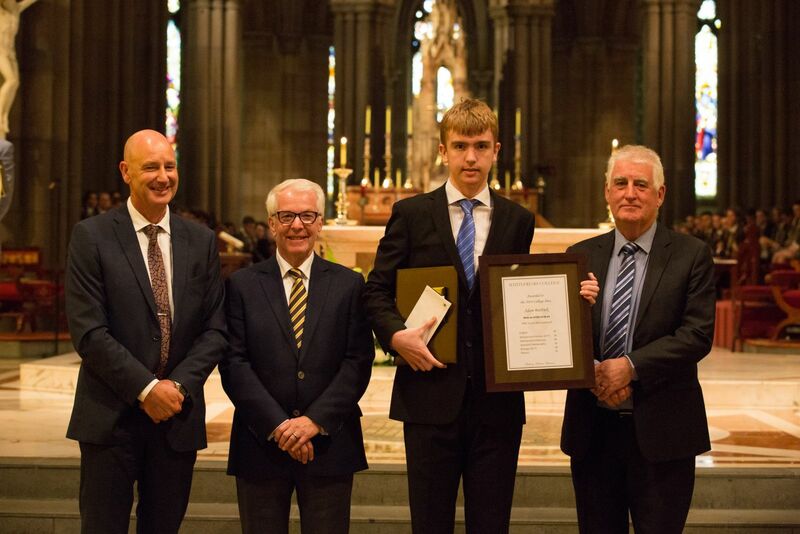 Adam also receives the VCE Mathematical Methods and Specialist Mathematics Subject Awards. In the university course, he achieved a High Distinction which helped contribute to his ATAR. Adam begins studying a Bachelor of Science at Melbourne University and hopes to then specialise in Mathematics and Statistics. He is a hard-working, disciplined, honest, intelligent and friendly student. He was role model to other students. Throughout his time at Whitefriars, Adam has embraced many opportunities such as enrichment, competitions, music and ACC sport. While acknowledging Year 12 performance as an important measure of success, the community also acknowledges and appreciates that the combined academic, pastoral and spiritual dimensions of schooling have impacted positively on the formation of the young, gentle man graduating from Whitefriars College.